﻿﻿﻿﻿Standing Seam Guide: What Are The Different ﻿T﻿ypes of ﻿S﻿tanding ﻿S﻿﻿eam ﻿R﻿oofs? They look at home on any building from residential homes to schools, industrial buildings and commercial premises. 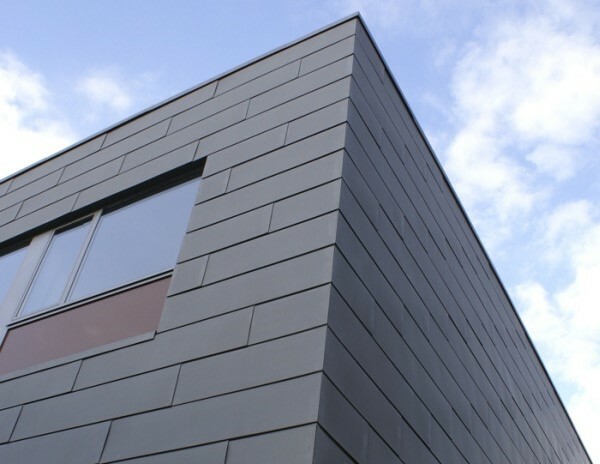 These cladding panels ally superb aesthetic values with flexible construction and design techniques to provide an outstanding roofing and cladding product with superior aesthetics and longevity. ​Snap Lock and Nail strip have a slightly different profile but are essentially variants of the standing seam technique. Each offers a flexible, fully customizable alternative with an array of advantages over more traditional cladding systems. 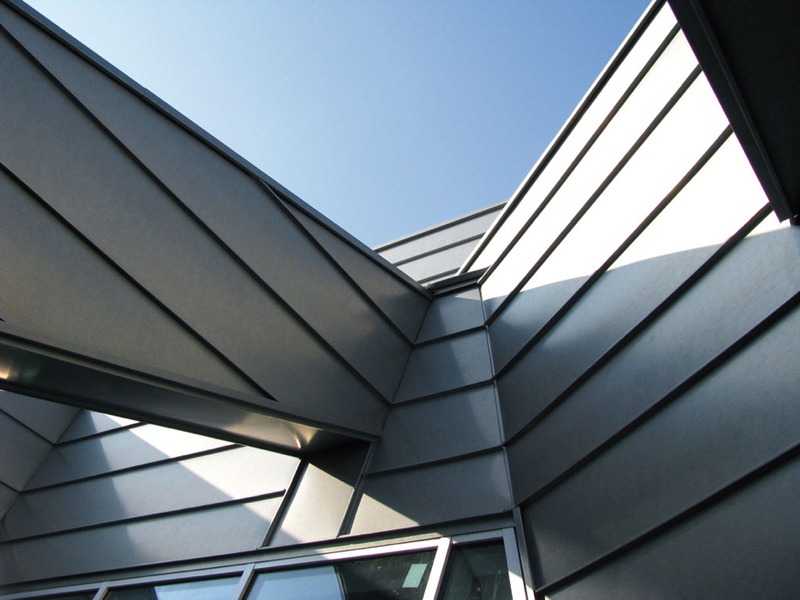 Standing Seam cladding panels will enhance a full expression of any architectural design vision. Their versatility means that they can be adapted to any roof or wall configuration allowing for angled, curved, domed, or conical applications. 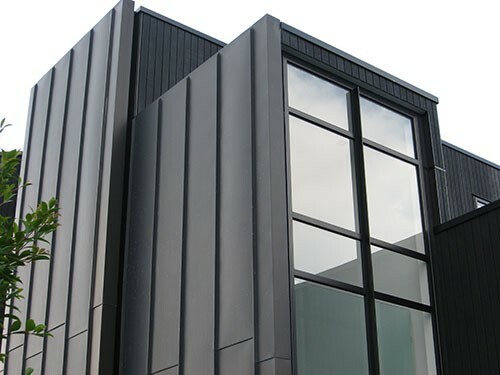 The strong lineal profile presents a bold and powerful vision of modernity that contrasts beautifully with timber panelling, stone work, brick, glass or any other cladding material. 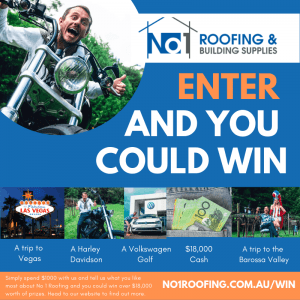 Standing seam panels create a prestigious look that will retain its striking youthful appearance in the face of changing building fashions and Australia’s extreme weather patterns. Long, clean lines, a range of rib height and pan width sizes together with a choice of materials and colours allows for complete freedom in your creative expression. The possibility of using panel lengths of up to 8 m or more, exceptional strength, and resistance to water ingress make standing seam panels perfect for covering large roof surfaces and in areas subject to weather extremes including torrential rain and even snow. These panels can be used on any pitch from virtually horizontal (1.5°) to vertical and provide almost limitless opportunities for stunning architectural design. The standing seam technique ensures the joints display exceptional water tightness and strength. Standing seam panels are generally installed installed on 15 to 18mm ply and are held in place by clips (although the Nail strip profile offers some variation to this rule) . The ply provides a great deal of torsion support and strength. Sliding clips allow room for movement in building materials and all clips are screwed using countersunk screws into timber framing. The clips are concealed leaving a seamless appearance. ...the lips are crimped together for a superior waterproof seal, manual crimping technique ensures a tight seal and clean lines while reducing installation time. Standing seam panels are designed for longevity. Colorbond Ultra, Aluminium, Zinc and Copper increase the natural anti-corrosion properties of standing seam panels making them a perfect solution for coastal construction and other projects subject to salt laden winds. Ribs are manually crimped together. The Snap Lock panels looks very similar to standing seam but the design of the lip enables panels to simply snap together obviating the need for crimping. The Nail Strip panels have a perforated strip along one side of each sheet enables screw fixing directly to a rigid substrate. There is no need for either fixing clips or crimping and this means installation is fast and straightforward. In general, the substrate for Standing seam, Snap Lock and Nail Strip needs to be rigid and continuous with an unbroken 40mm ventilation space. However, Nail strip in the Colourbond, Zincalume, Metallic and Ultra 38mm x 265mm range also allows the added flexibility of installation on 40mm metal battens at 600mm centres when used in a wall cladding application. * Although all care is taken in the creation of this document it is only for the purpose of providing information on available profiles.